We start off our journey through Elk Country at the spectacular Antler Shed Cabins. These cabins are brand new and have recently opened. This was clearly a labor of love, with modern and beautifully appointed furnishings, a covered porch, and more. We are in awe with how gorgeous and comfortable these accommodations are. The living room area has a cozy couch, a large screen tv, and a collection of DVDs and board games to keep you entertained at night. We stayed in the Monarch cabin, which has two bedrooms, including this one with bunk beds. And this one with a full-size bed. There is also a spacious bathroom. And a kitchen with anything you may need during your stay, including dishes, pots/pans, utensils, and more. 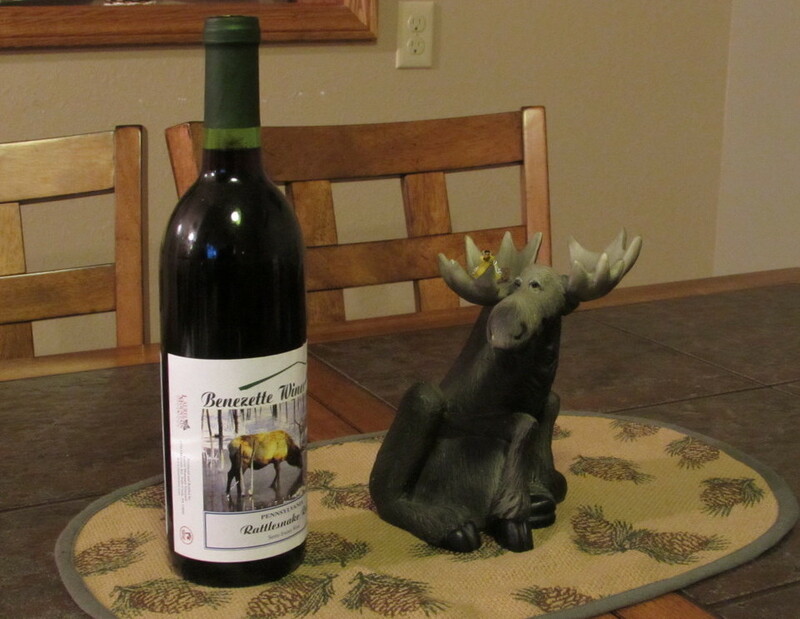 We had a delicious "Rattlesnake Red" from Benezette Wines. This red wine is semi-sweet, and was delicious! It's a must-have, even if you don't typically drink red wine or wine in general. Thanks to conservation efforts by visionaries like Gifford Pinchot, most of north-central PA consists of public lands. More than two million acres are public lands, comparable to the size of Yellowstone National Park, with 29 state parks, 50 state game lands, eight state forests, one national forest, and many public trails and waterways. You could drive for hours throughout these lands and see many natural wonders, such as the spectacular elk herd that was reintroduced from Yellowstone and other places in the west. Elk were reintroduced into our state after our irresponsibility led towards the extinction of a species that was previously so integral to the state. The Antler Shed Cabins and the borough of Benezette are in the heart of the stomping grounds for these majestic creatures. Since the skies were cloudy for the weekend, we were unable to see the stars. This area has some of the darkest skies on the east coast, second in darkness only to the area around Cherry Springs State Park, just an hour east of this location. Even with total cloud cover, there was complete darkness, with no light pollution shining off of the clouds. Additionally, this place is incredibly silent. Just writing this is making me miss this area already. It is such a great retreat from the city. Out in the distance in this photo, you can see a spectacular gap in the mountains where the Sinnemahoning Creek flows through like a small river. The property around the cabins is wooded and secluded. If you are looking for an impressive place to stay during a visit to Elk Country and the rest of the PA Wilds, you have to check out the Antler Shed Cabins. The Antler Shed Cabins and the PA Great Outdoors Region kindly hosted us and we have shared our opinions about these great accommodations. Our area (Elk County) is truly beautiful and filled with wildlife that you will probably see while you are there.